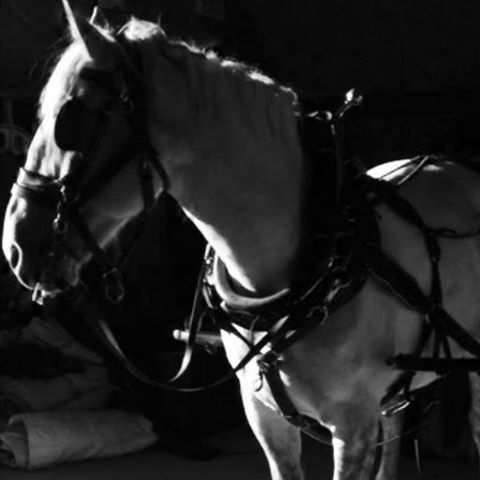 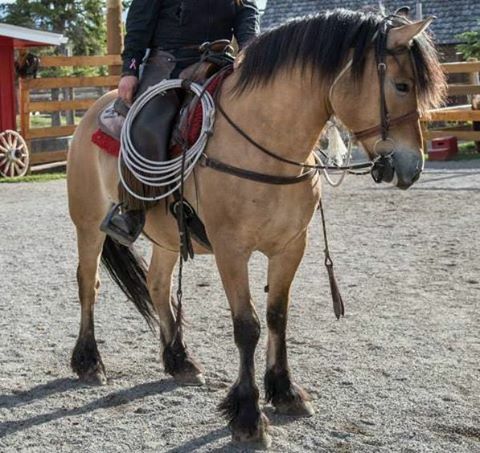 With about 300 horses in our stables, we’re able to pinpoint the absolute perfect horse for any rider. 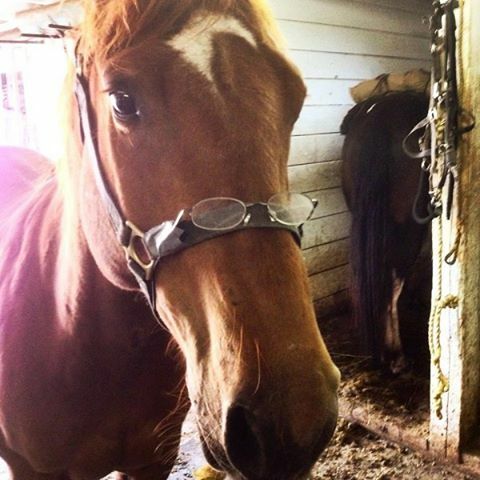 That means if you’ve never been riding before, we’ll be sure to pair you with the most mild-mannered horse available. 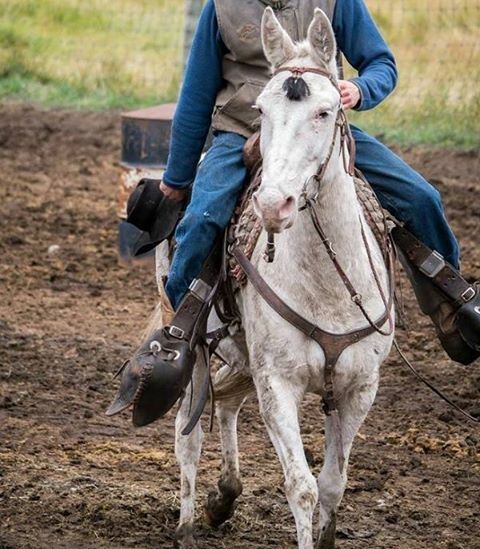 So you can enjoy the experience. 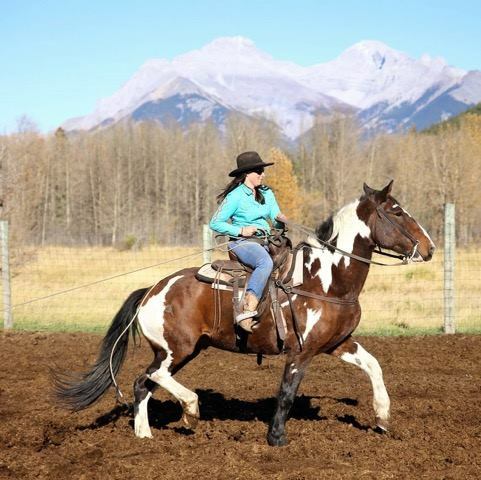 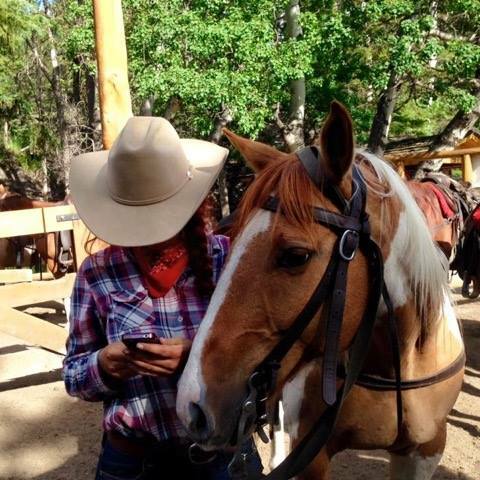 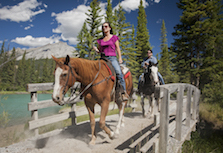 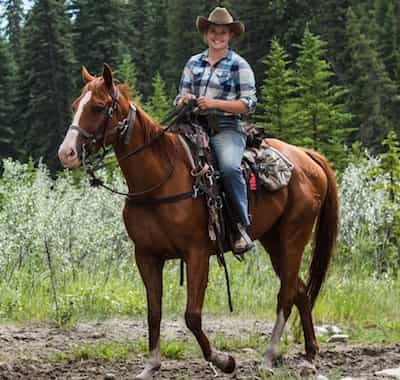 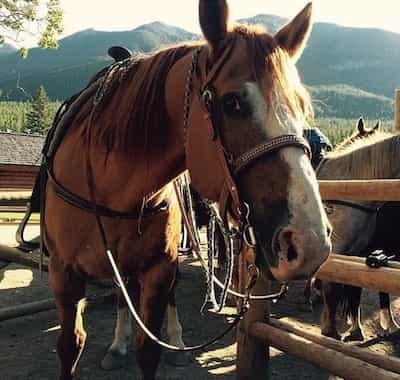 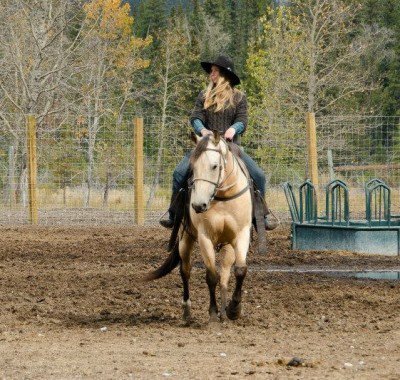 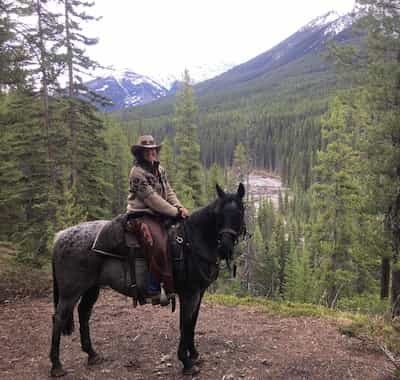 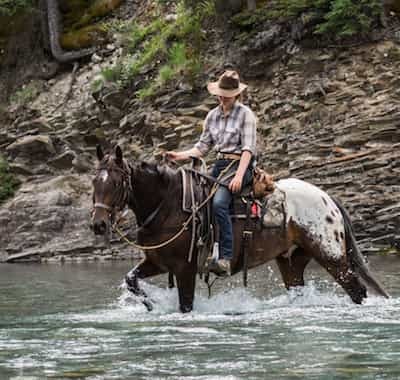 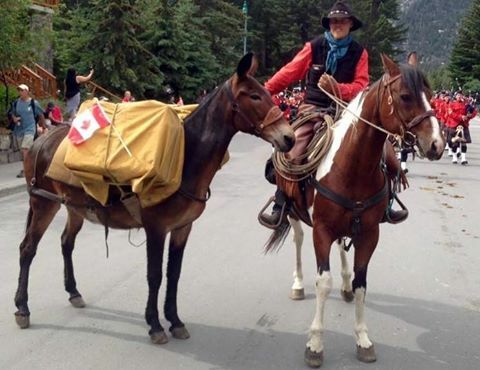 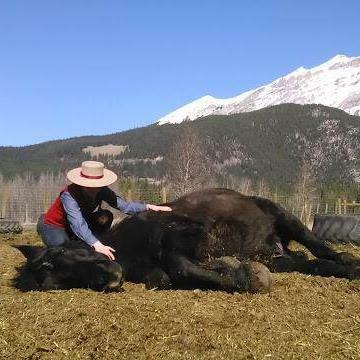 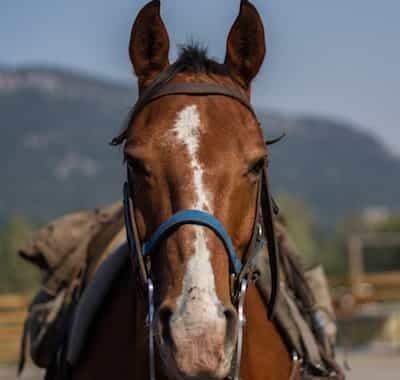 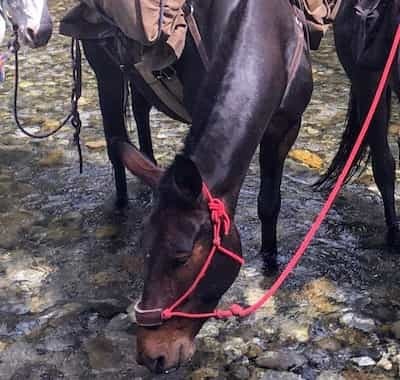 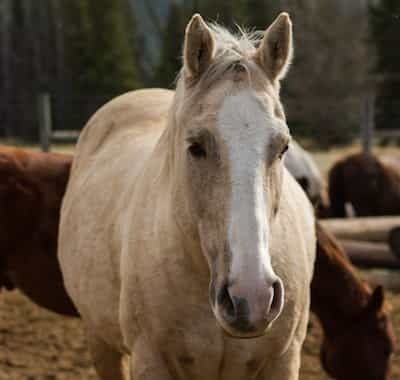 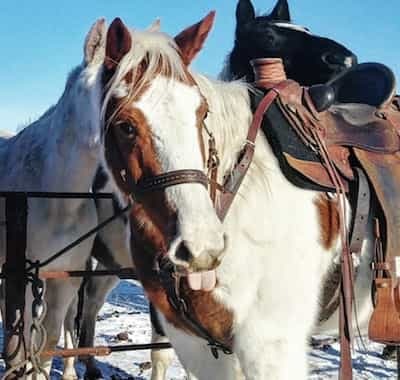 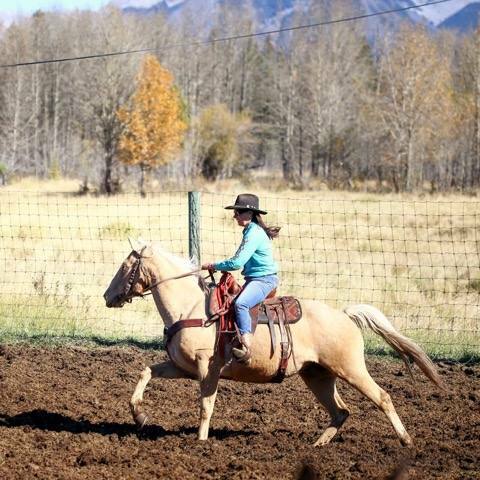 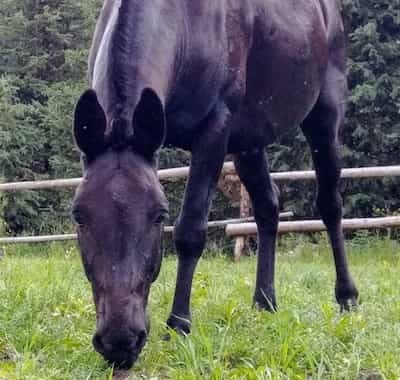 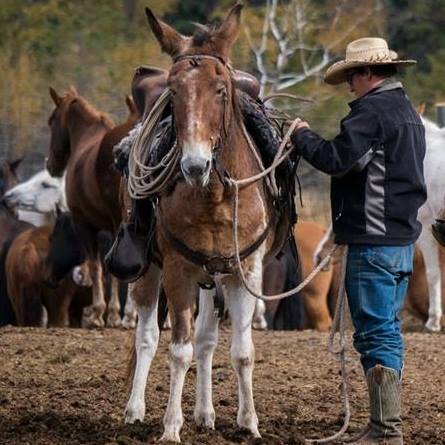 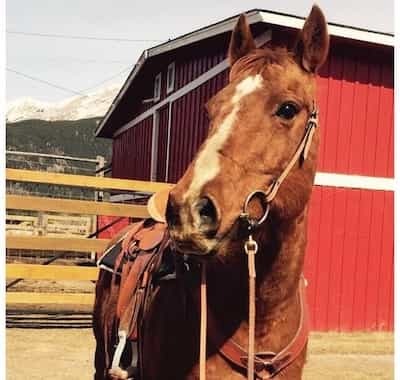 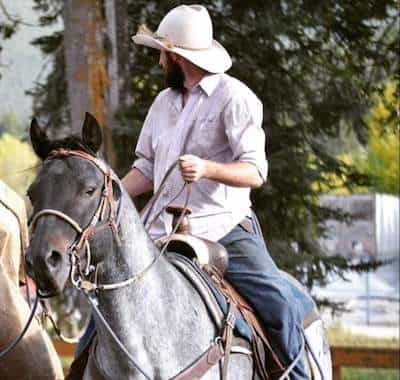 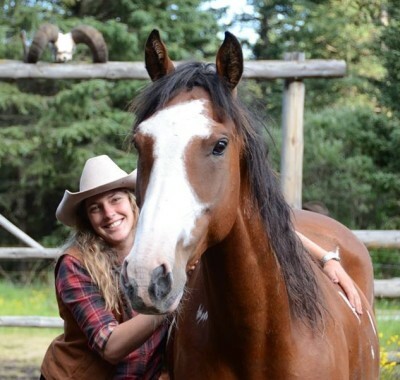 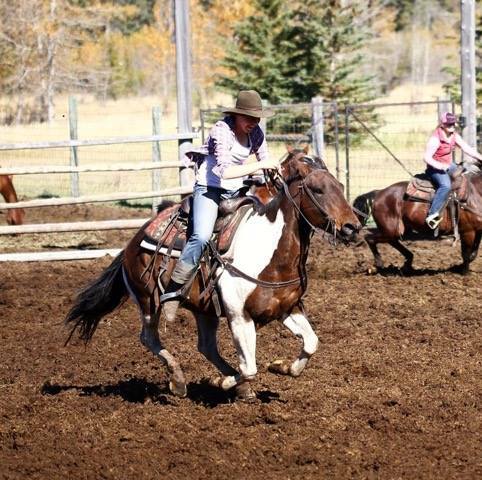 After all, Banff Trail Riders wants both seasoned horsemen and horsewomen as well as new riders to have the time of their lives. 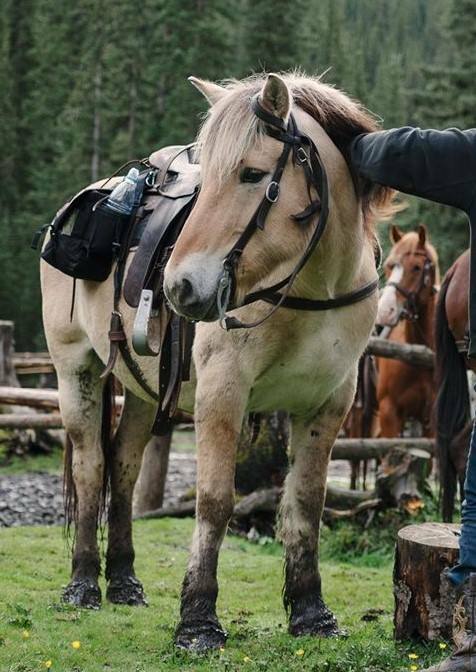 Meet Ned! 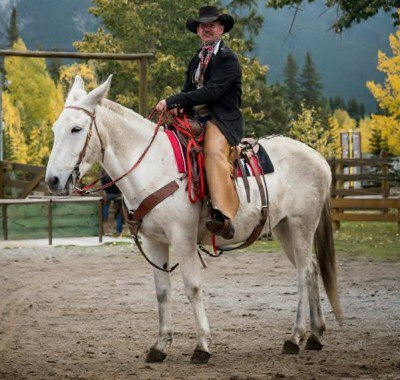 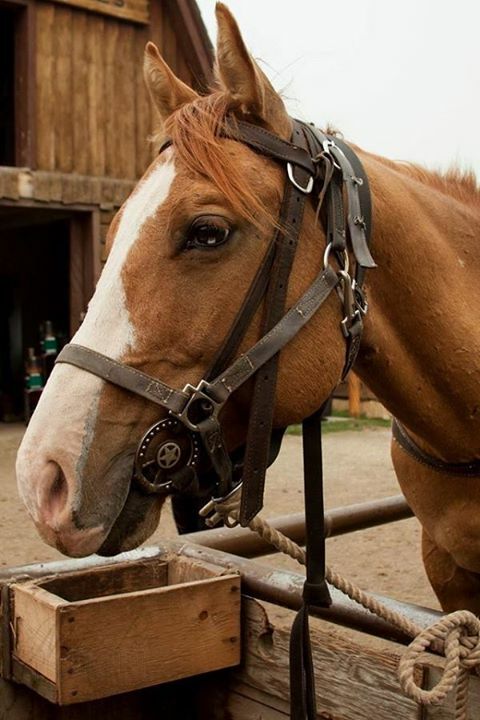 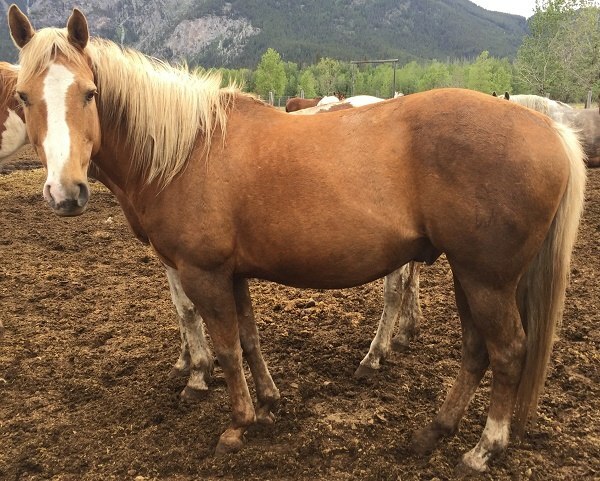 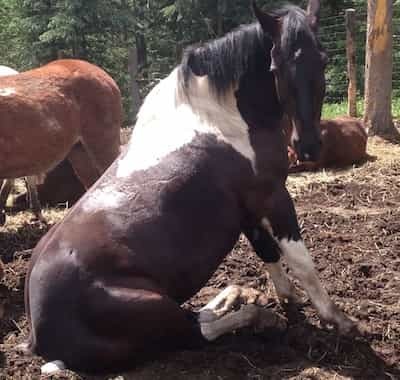 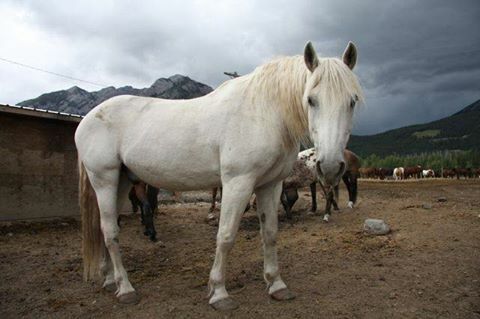 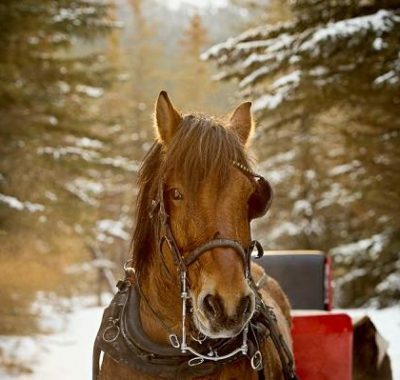 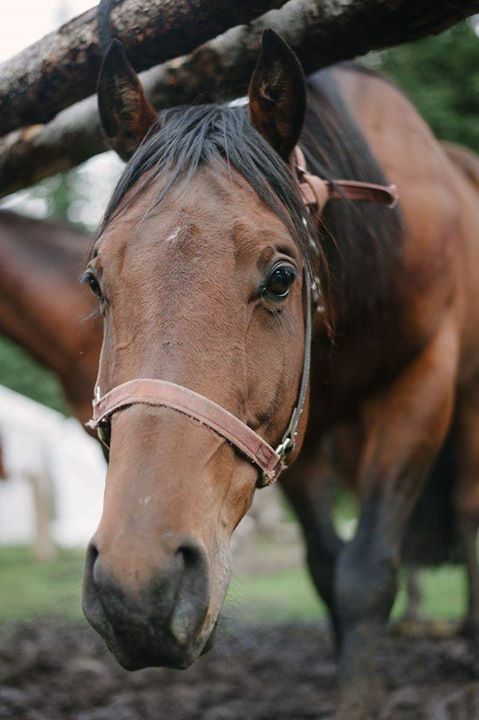 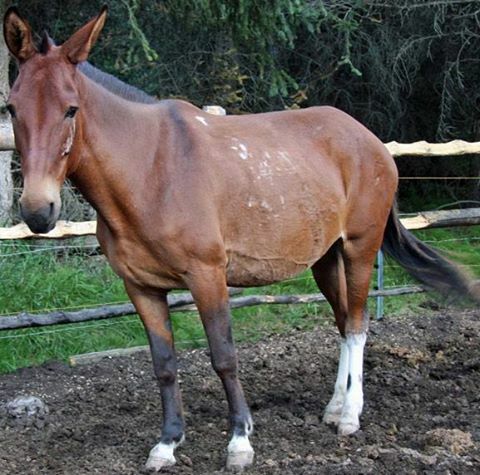 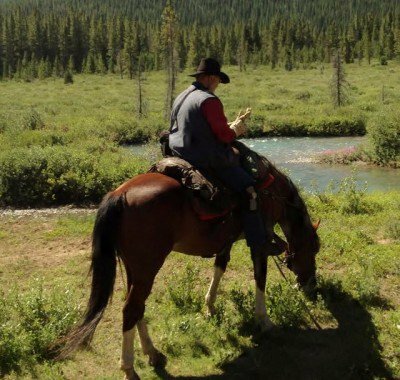 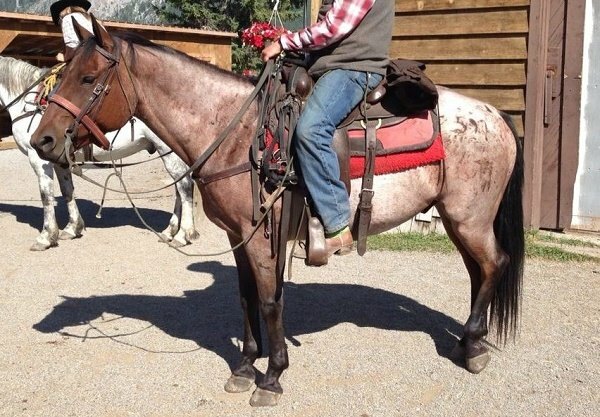 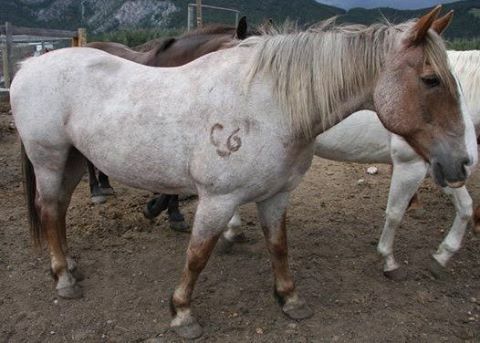 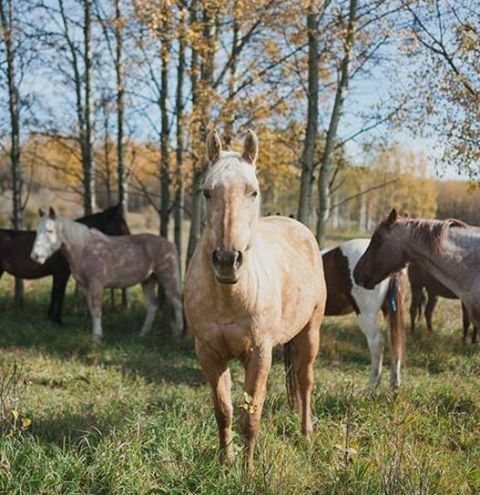 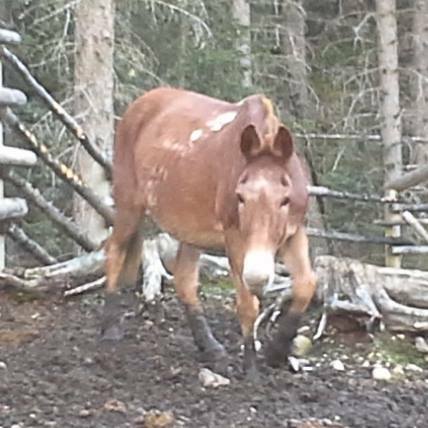 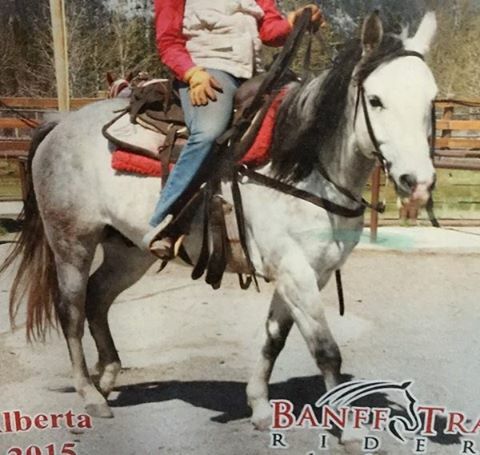 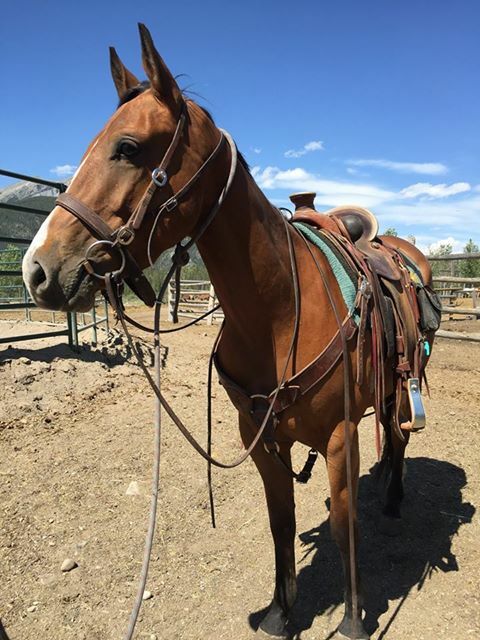 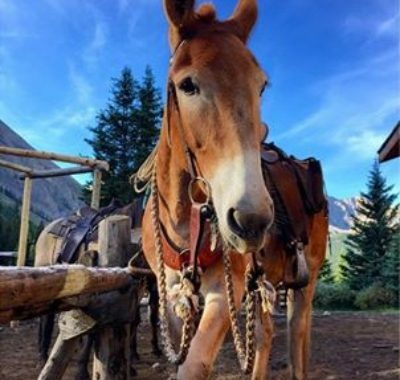 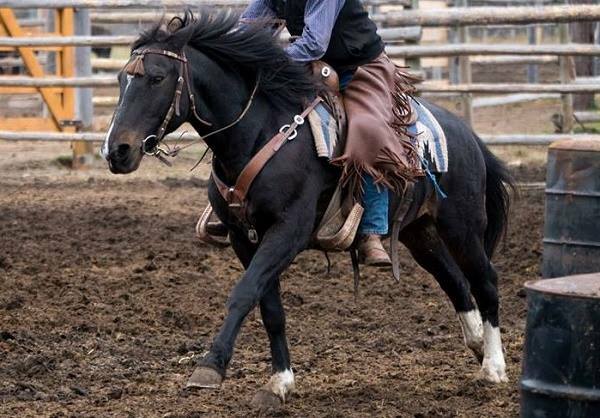 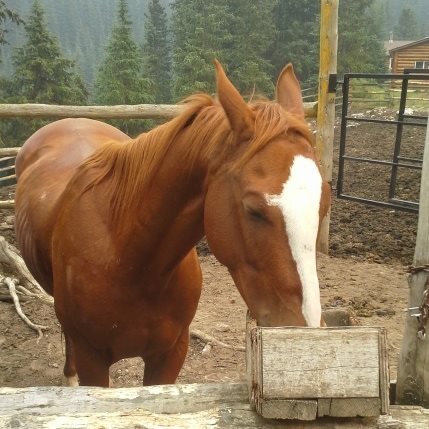 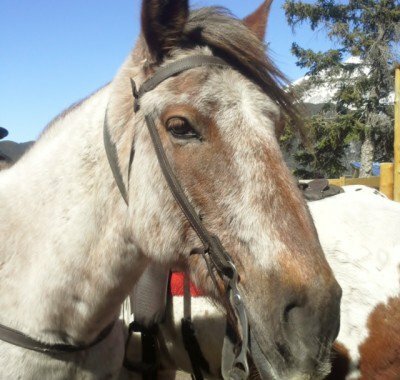 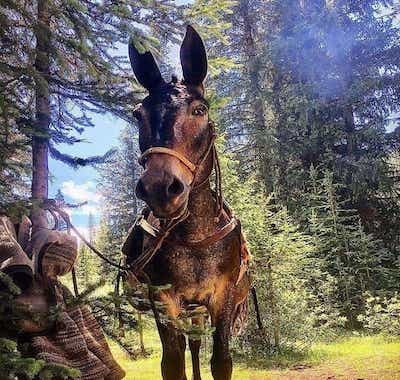 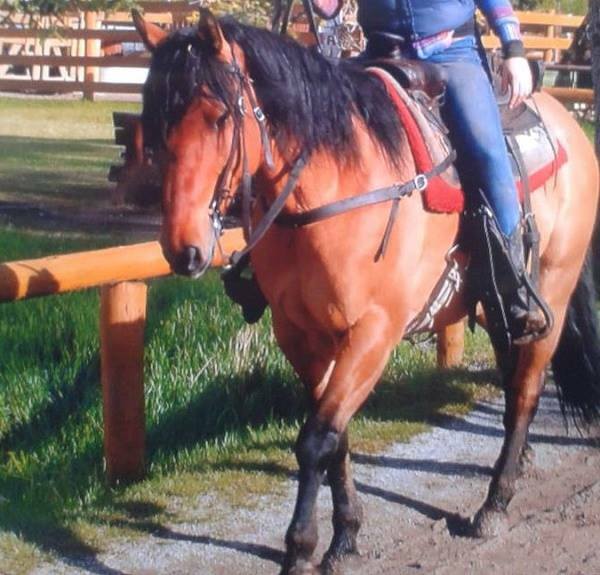 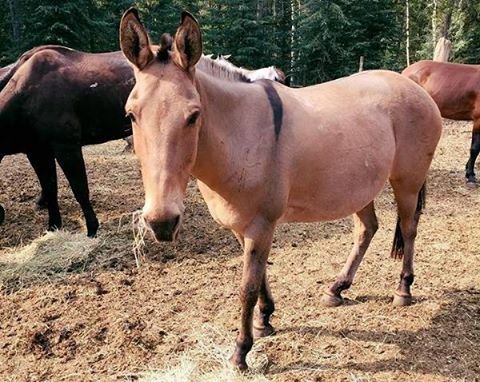 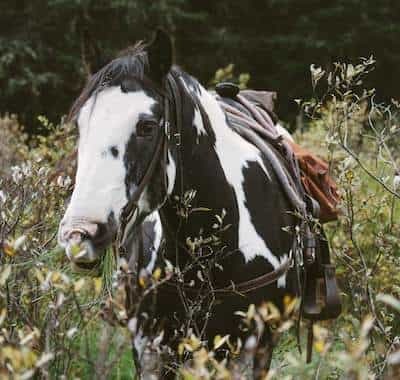 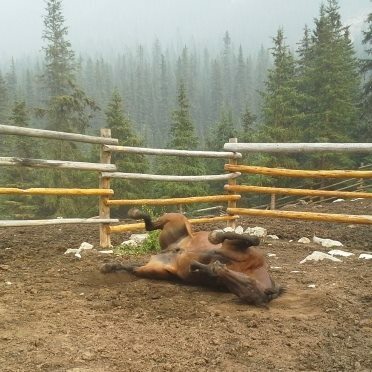 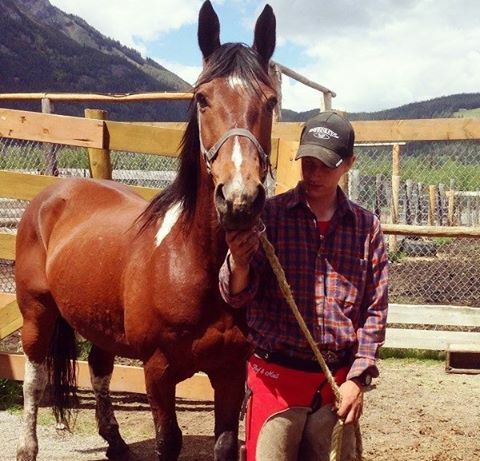 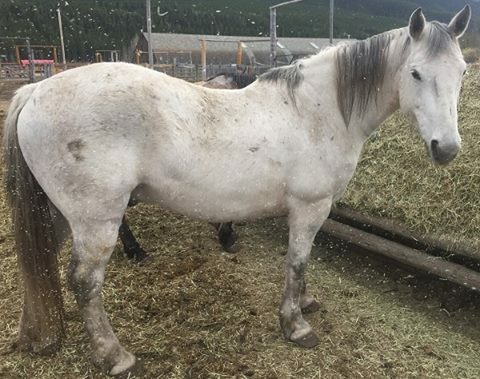 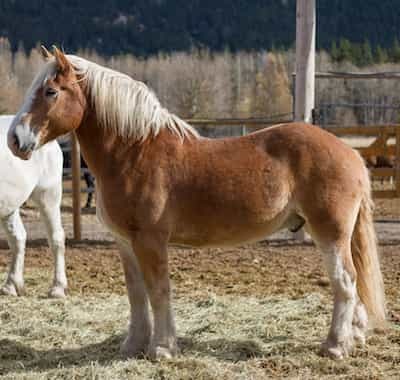 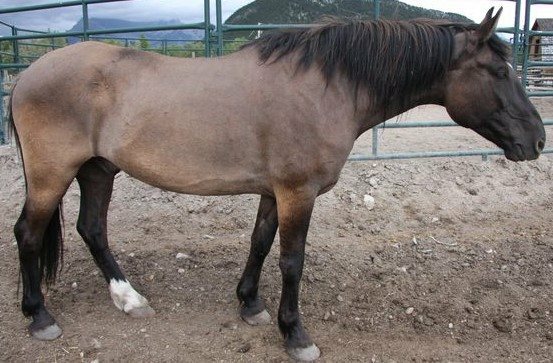 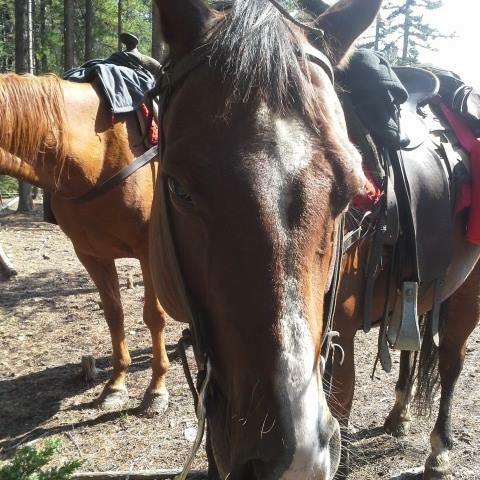 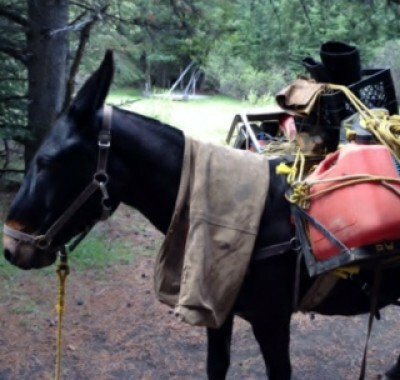 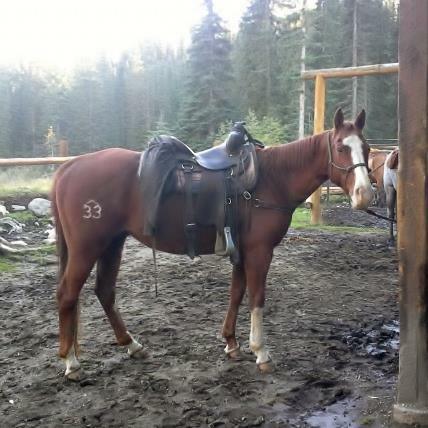 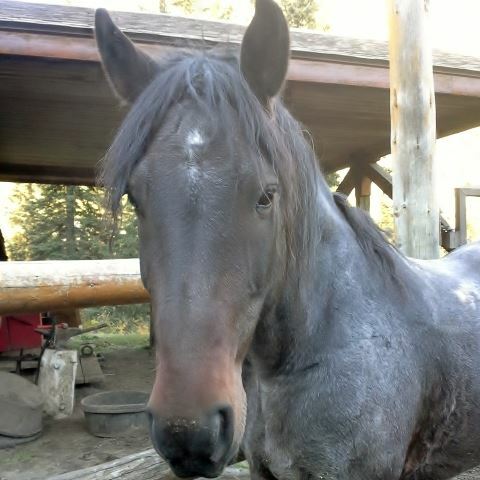 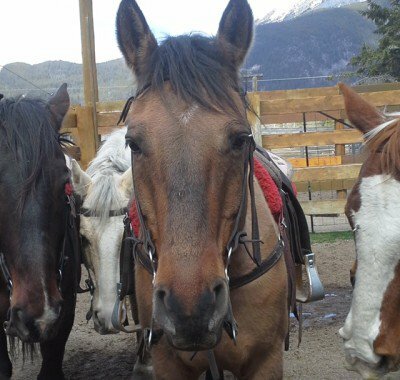 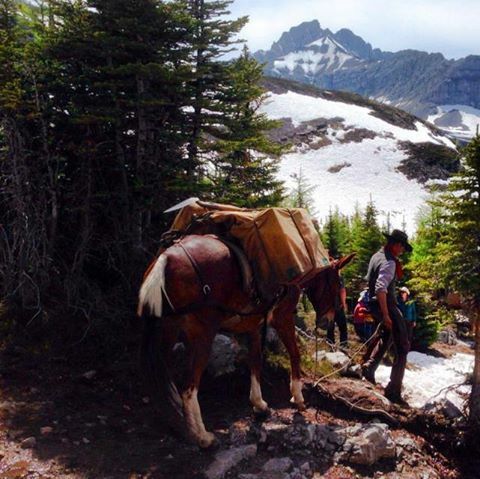 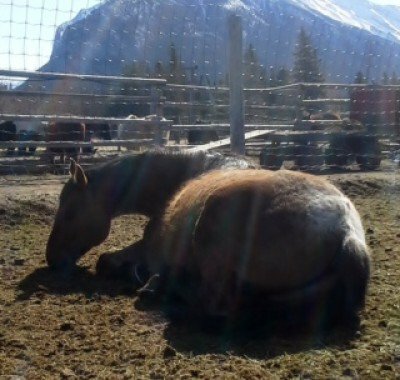 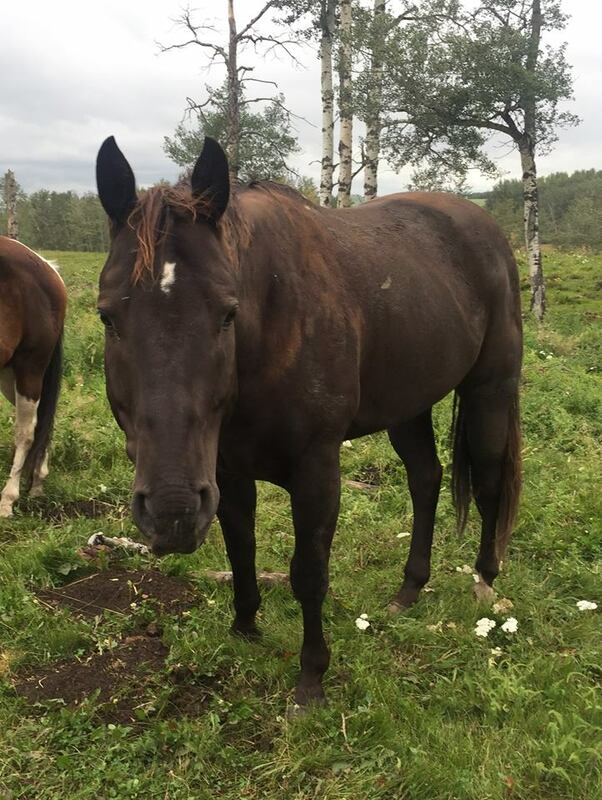 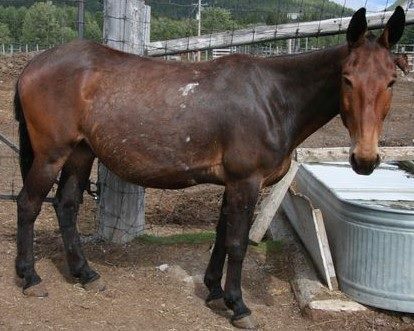 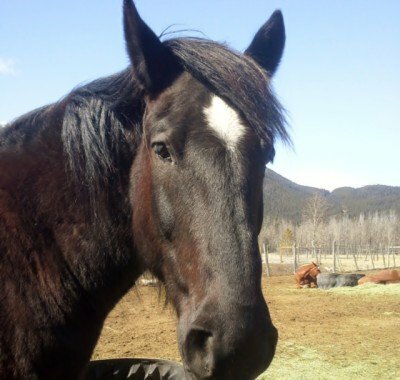 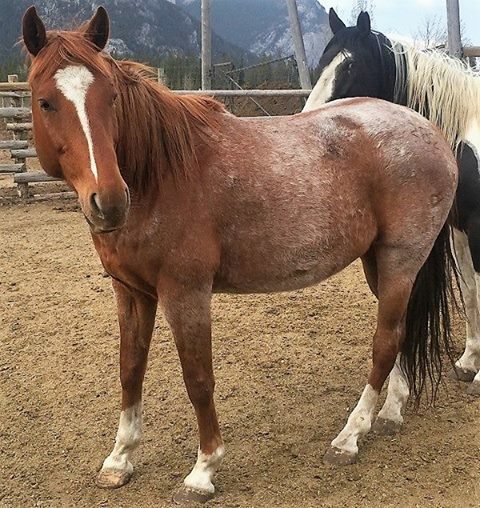 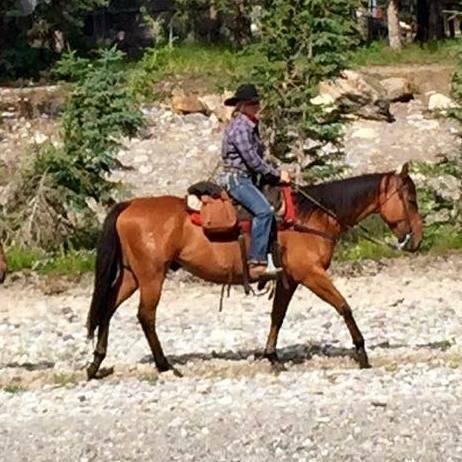 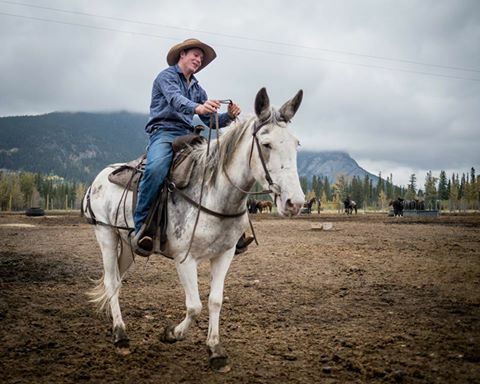 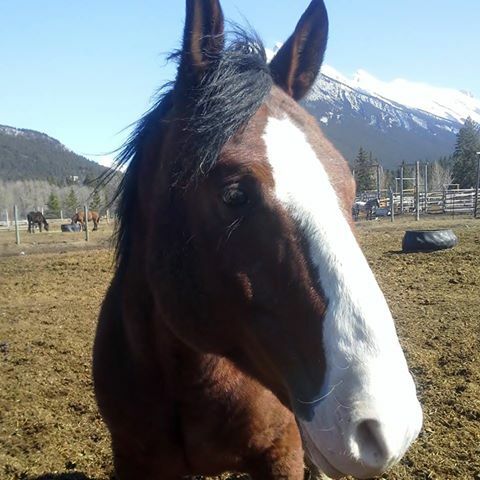 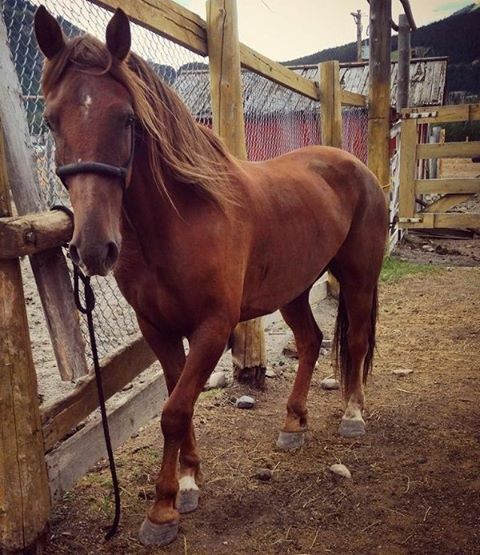 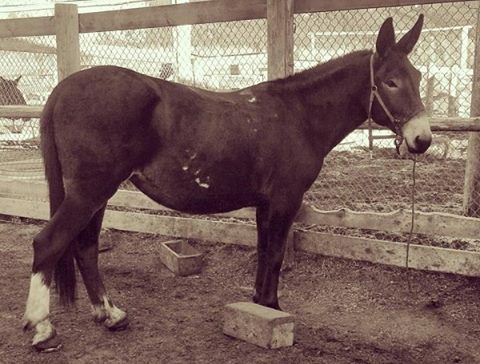 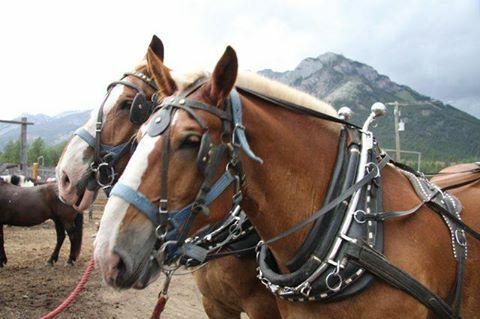 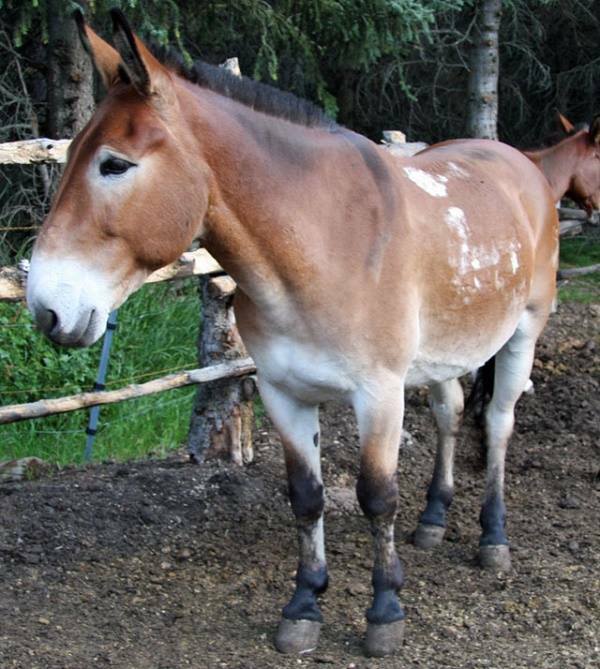 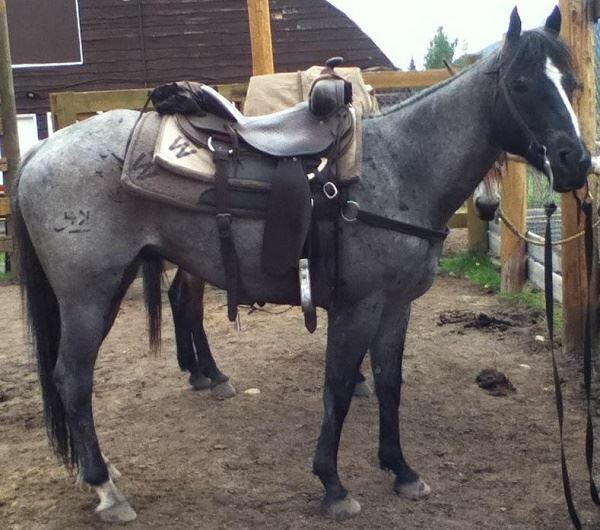 Before becoming a part of the team at Banff Trail Riders, Ned was a trick horse. 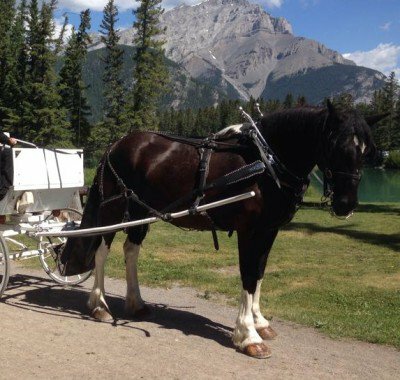 He now excels as carriage horse showing guests around historical downtown Banff. 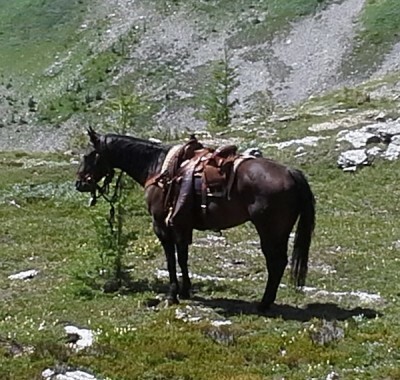 He sometimes decides to show off his tricks, however, by sitting or lying down… usually while still wearing a harness! 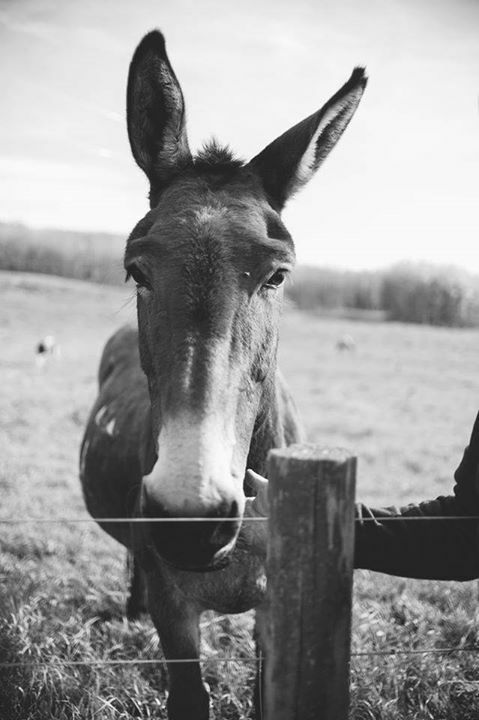 Meet Studley! 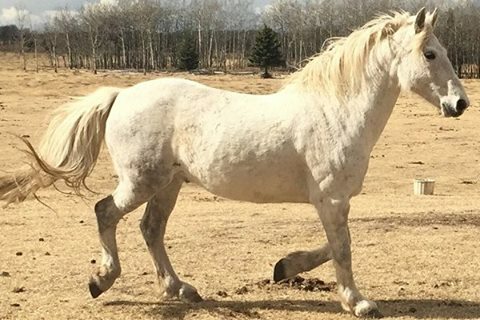 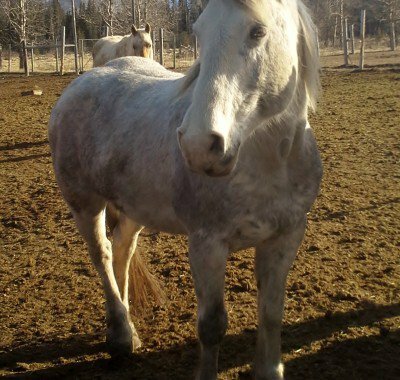 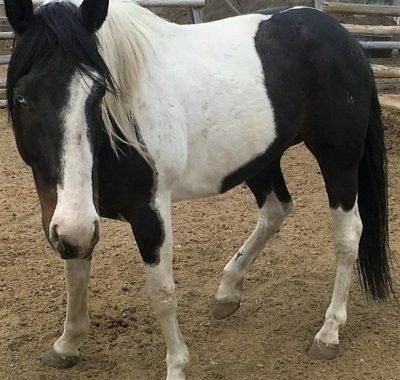 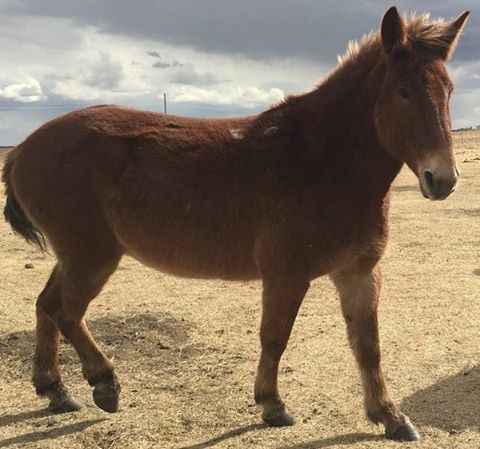 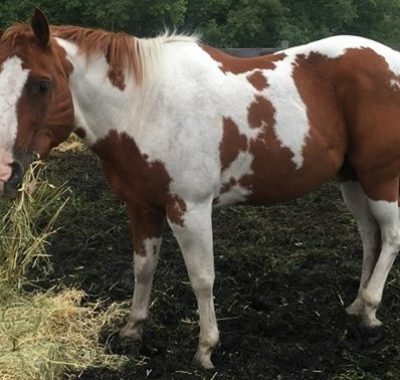 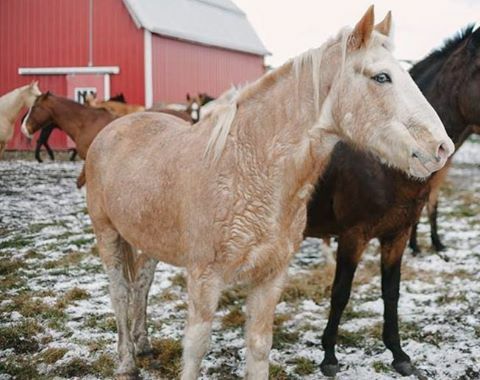 Studley is the smallest horse in the entire herd, standing a mere 34 cm at the withers. 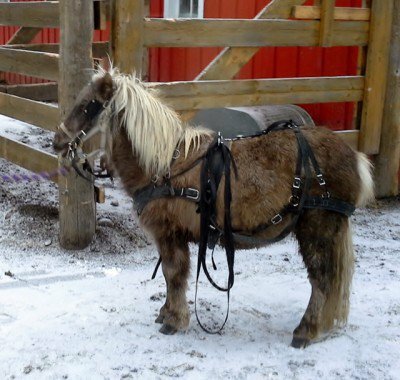 He is a miniature horse, meaning he will not grow any taller. 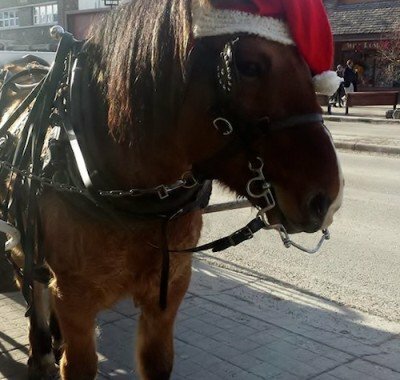 He is currently in training to pull a buggy both by himself, and with his matched mini partner, Fooler.